In order to cultivate academic exchange, the CURS's occasional papers series involves not only the publication of our research fellows' dissertations, but also the work of other scholars, from the mainland, Hong Kong and overseas, in the field of China urban and regional studies. Please find the abstract of each paper below (in PDF format). For the full text subscription, please click here for the subscription form (at $30 HKD / $3.75 USD for each copy of any issue) or contact us for further information. 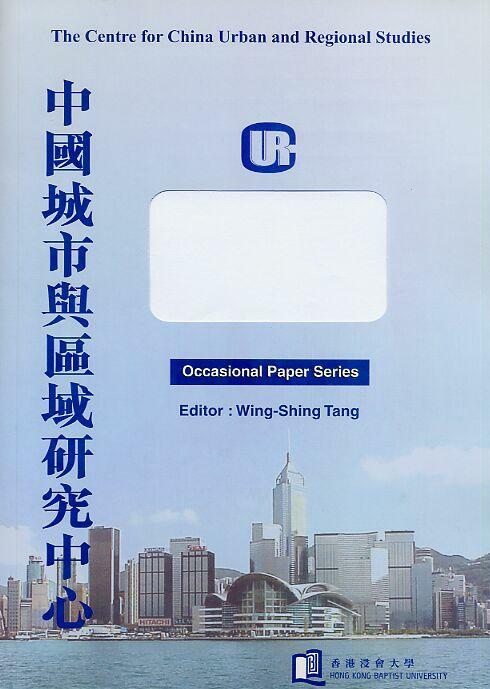 CURS' Occasional Paper Series was launched in July, 2001 to facilitate academic exchange. The papers are preliminary materials circulated to stimulate discussion and critical comments. * Department of Geography, Hong Kong Baptist University, Kowloon Tong, Hong Kong. * * Department of City and Regional Planning, Peking University, Beijing, China. Residential Mobility and Urban Change in China: What have we learnt so far? China's Rural Market Development During the Era of Reform: Has the Traditional System Been Revived? Toll Roads in the Countryside: A Road Pricing System of Chinese Characteristics?